It’s that time of year again! Waiting for crias to arrive is always a trying time. 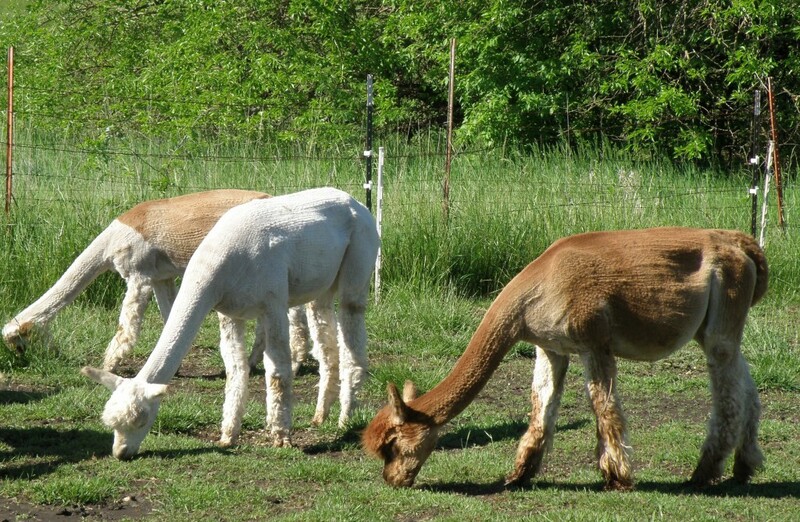 All the humans have to go on is averages but since the alpacas have not read the book, they are not in the least concerned about our numbers. 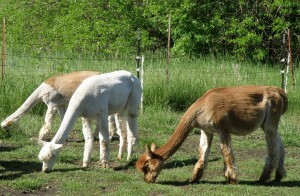 Over the years I have learned to use 345 days as the spring time guide as to when cria watch begins. In the fall, I use 335 days. Cria watch requires a great deal of patience – checking on the animals several times a day watching for any sign that birth might be imminent. My preference is to go out to the pasture and find a cria already on the ground and sitting cushed or better still, nursing from mom! Fortunately most births are uneventful but there are always those that need a bit of help. At the moment my ‘ladies in waiting’ are all contentedly eating grass and are not in the least concerned about any anxiety I might have. to the pinnacle of quality! Preparing alpaca fiber for the mill.